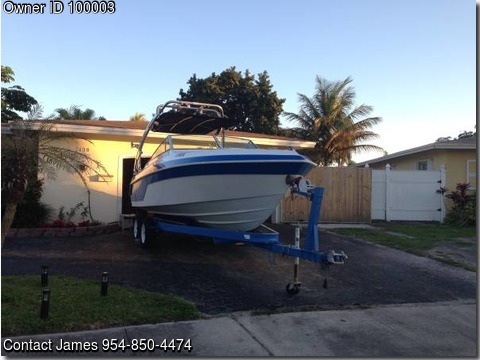 Please call owner James at 954-850-4474. Boat is in Hollywood, Florida. 23' Monterey cuddy cabin with a. 5.0 Mercruiser engine and an Alfa one outdrive. Custom Arial wakeboard tower with wakeboard or ski holders on both sides, and four speakers on top. Large canopy provides great shade from the sun.